At Playground Sessions, we work very hard to teach people of all ages how to play the piano, and provide them with a platform that allows for fun and engaging ways to do so. With that said, we’re excited to announce that we’ve recently been involved in a very cool program, led by Mr. Brian Duran at the Harlem Prep Elementary School, a K-5 charter school that serves over 400 students as part of the Democracy Prep network. Mr. Duran chose to use a few of our songs for the children to play – and they loved the experience! Our arrangements were broken up into 4 parts, and each kid was assigned a part to play, based on his skill level (the melody being given to the more advanced players, and the bass being given to those who were still working up the ranks). 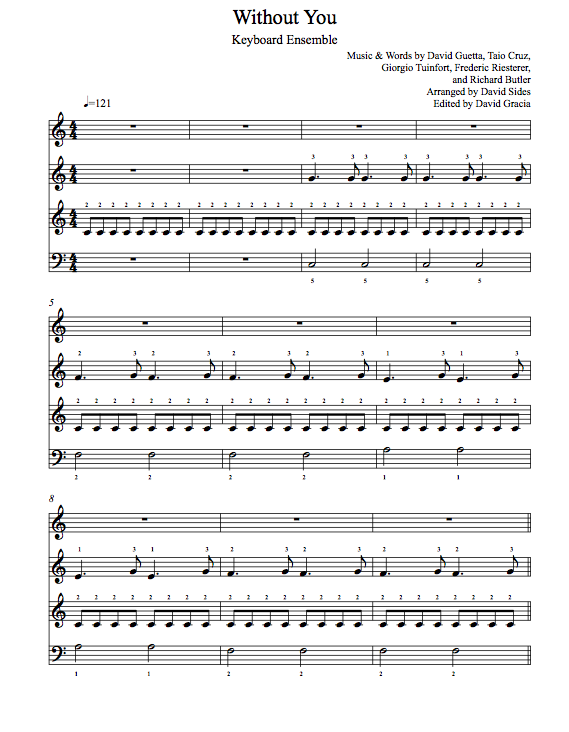 Here’s a sample of one of the songs the children played, “Without You” by Usher and David Guetta. As a child’s proficiency improved, he would move from playing the bass, to the chords, to the melody, until eventually he would be able to play with both hands! The children are broken up into different sections, based on the part of the song they are assigned, and all sections would play the song together as an ensemble! Needless to say, we’re excited about what the Harlem Prep kids are doing and the approach to learning that they’re being taught under Mr. Duran. We’re happy to be providing Duran’s program with a platform that helps his students improve their proficiency with real-time feedback, scoring, and other elements that make for a fun and interactive learning experience.